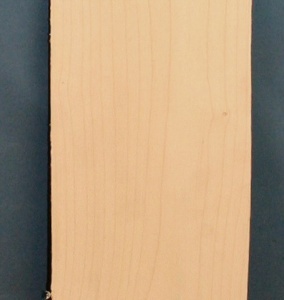 Sycamore box maker's piece 1040 x 175 x 13mm re-sawn from kiln dried planking with a sanded finish. Creamy white in colour, very smooth textured and lustrous. Usually with a straight grain, but very occasionally producing the ripple figure highly prized for furniture and musical instrument building.